When someone visits me I try to have a cake. I like baking cakes, they make other people happy, but very often I run out of time when preparing for a visit and instead of fancy, three-layer cake I create something simple like this lemon yoghurt cake. There is nothing wrong with simple cakes as the taste and gesture matter most. I baked that cake for Zosia. We took it for our Slieve Donard hike and we ate it at the summit. 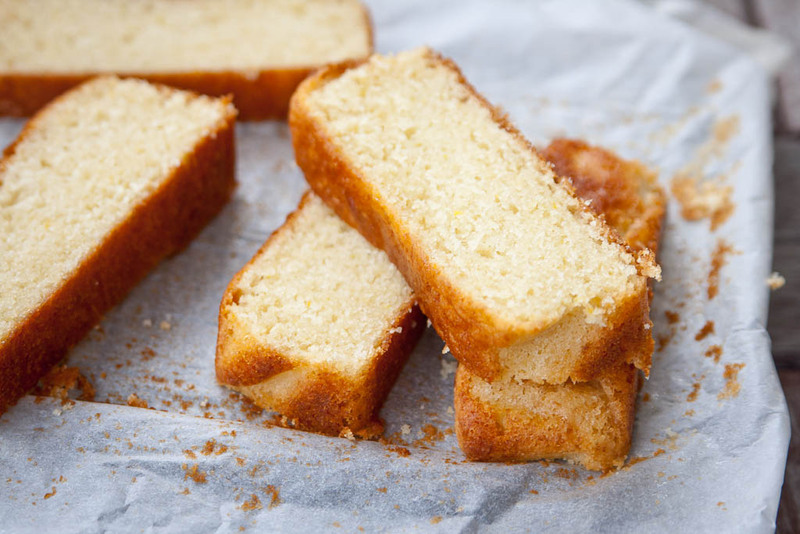 It’s delicious, simple, moist cake you can do quickly. I’m not a big fan of icings and other additions so I’ve just skipped that. Preheat the oven to 180ºC/160ºC fan. Line a tin with parchment paper. Mix together dry ingredients – the flour, baking powder, baking soda and salt. Place the sugar, Greek yogurt, oil, eggs, lemon juice and zest in a bowl and mix until smooth (feel free to use a mixer). Gradually add the dry ingredients into the wet mixture and mix until just well incorporated. Do not overmix it. Pour the mixture into the pan and bake for 40 minutes, or until a toothpick comes out clean. Lemons are usually are waxed unless mentioned otherwise. To remove wax just soak them in hot water for a few minutes and they will be ready to use. Posted in Cakes, Summer and tagged lemons, no butter cakes, yogurt. Bookmark the permalink.